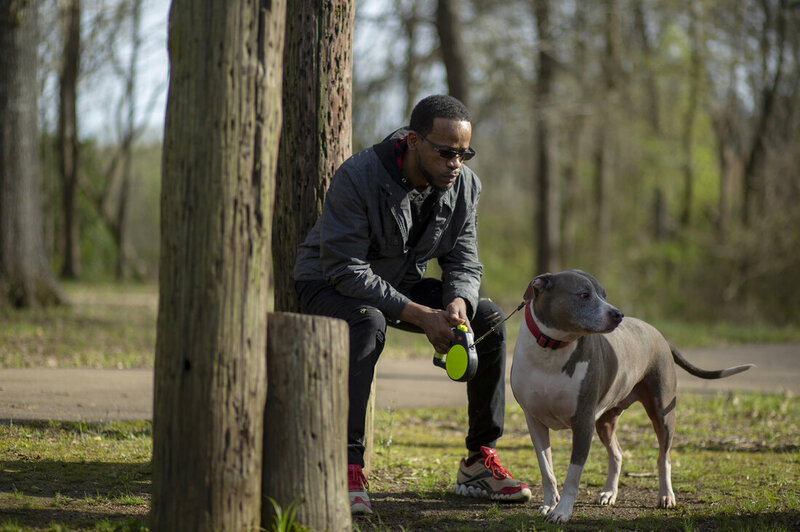 Shawn Esco brings his dog Nibbler to a park in Jackson, Miss. 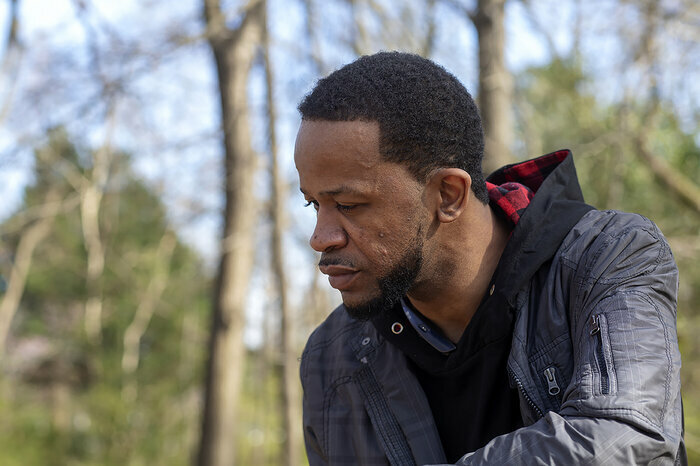 He was diagnosed with HIV 11 years ago and has stayed healthy, but the same can’t be said of many of the other HIV-positive people in his life. Esco is now 37, and lives in an apartment with an affectionate pit bull named Nibbler. He’s stayed healthy in the time since his diagnosis, but the same can’t be said of many of the other HIV-positive people in his life. In 2011, after good HIV treatments were available, Esco’s best friend from high school died of AIDS-related causes. Esco says the death of that friend was the hardest to endure, but not his only loss. One of Esco’s exes also died of an AIDS-related condition. And another friend took his own life after he got his diagnosis — out of fear his family would find out. In 2011, Esco’s best friend from high school died of AIDS-related causes. One of Esco’s exes also died of an AIDS-related condition. And another friend took his own life after he got his diagnosis — out of fear his family would find out. 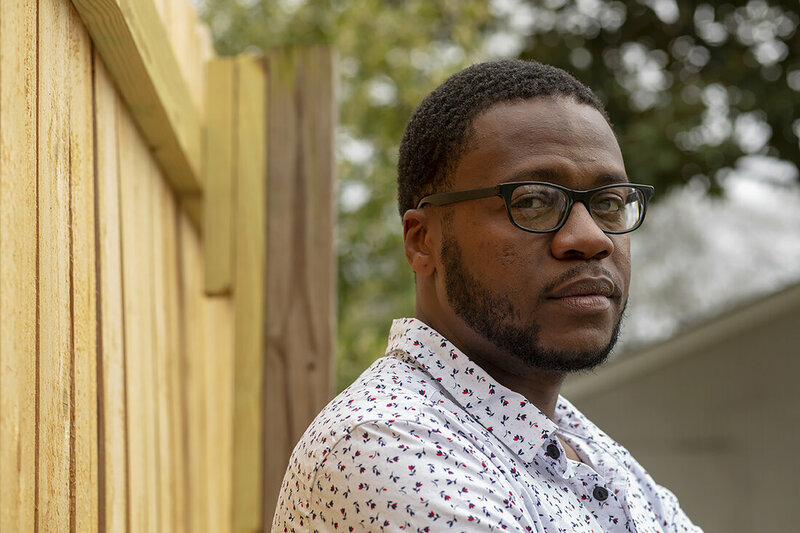 In the South, many gay and bisexual black men don’t know the extent of the HIV problem, he says. And, if they do, they may not have access to the tools to prevent and treat the disease. These are problems that Dr. Leandro Mena tries to solve. He’s an HIV researcher and clinician, and a professor of population health science at the University of Mississippi. Mena also works with My Brother’s Keeper, a community-based nonprofit working to eliminate health disparities in underserved populations. HIV seems easy to keep in check, he says: There’s a daily pill that can keep someone who is infected with the virus healthy. But things can get complicated fast if you’re poor. Sullivan keeps photos from Donna’s funeral on her phone: Donna lying peacefully in a coffin, impeccably made up, in a long white gown. Jeremy Williams got HIV before there was a daily pill to prevent infection in people who are at high risk. That pill is known as PrEP — pre-exposure prophylaxis. A lot of gay and bisexual men in the South are not on PrEP, doctors say, either because they don’t know it exists, or because they can’t afford it. “You have to drive like an hour or two or three for quality care,” he says. Williams got HIV before there was a daily pill to prevent infection in people who are at high risk. 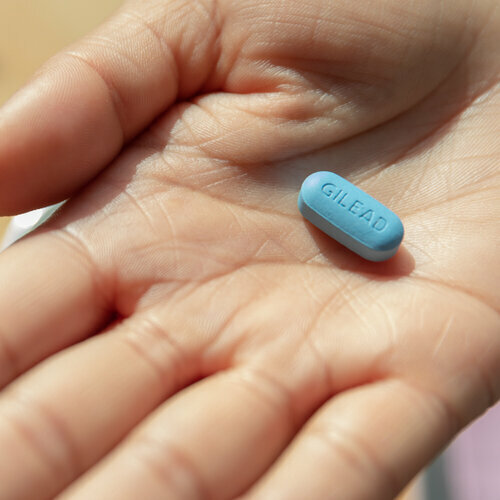 That pill is known as PrEP — pre-exposure prophylaxis. 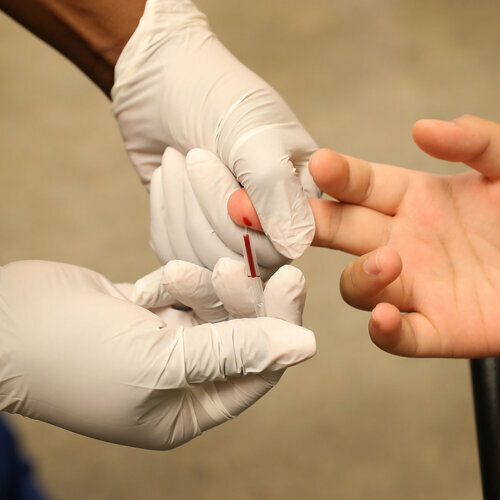 A lot of gay and bisexual men in the South are not on PrEP — either because they don’t know it exists, or because they can’t afford it. It can cost up to $1,600 a month without insurance. 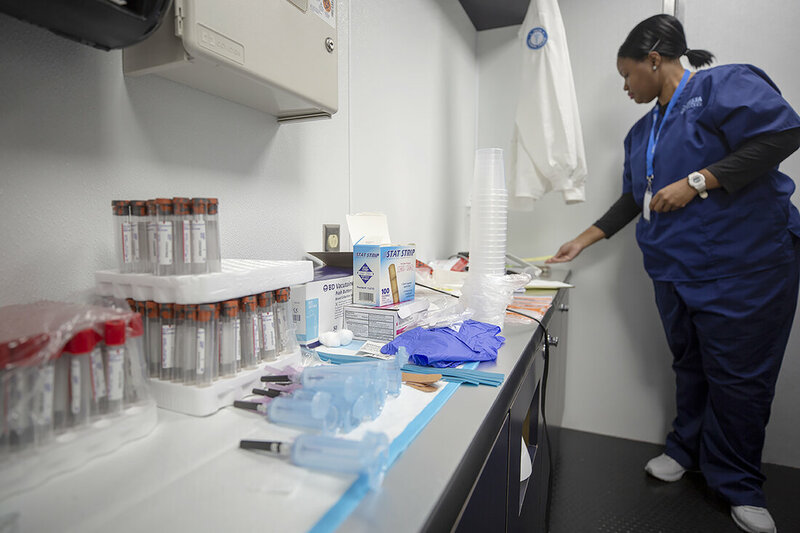 Mississippi has fought against expanding Medicaid, which could have given more people access to HIV prevention and treatment. Williams says the cost of treatment was kept in check when he was first diagnosed, because he was on his father’s insurance. “But once I got over a certain age, I couldn’t be on his insurance no more, and I couldn’t afford the treatment,” he says. Today, a daily HIV treatment pill, paid for by the state-administered AIDS Drug Assistance Program, has made his viral load undetectable. So it’s extremely unlikely that he could infect anyone else. Williams says there’s another issue that makes it hard for him and many other young gay or bisexual black men to protect their sexual health: He was raised in a church that tried to convert gay people to heterosexuality. Shame was part of his daily life. 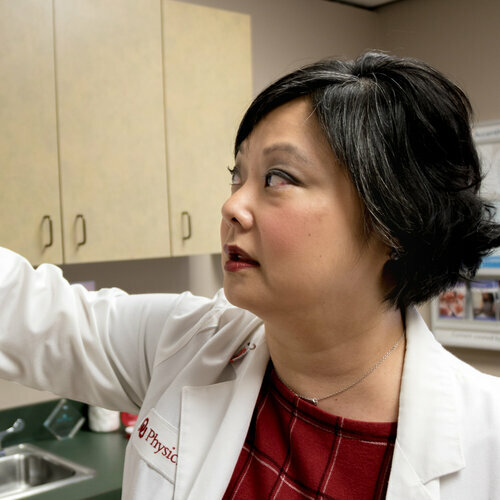 There’s also a lack of specialized HIV/AIDS knowledge among too many doctors in the South, says Sandra Melvin, the chief operating officer at Jackson’s Open Arms Health Clinic, where HIV-positive patients can receive care. She says many physicians in the region don’t know about PrEP. And that goes to a broader issue. Attitudes among Mississippi’s elected leaders are also part of the problem, Melvin believes. 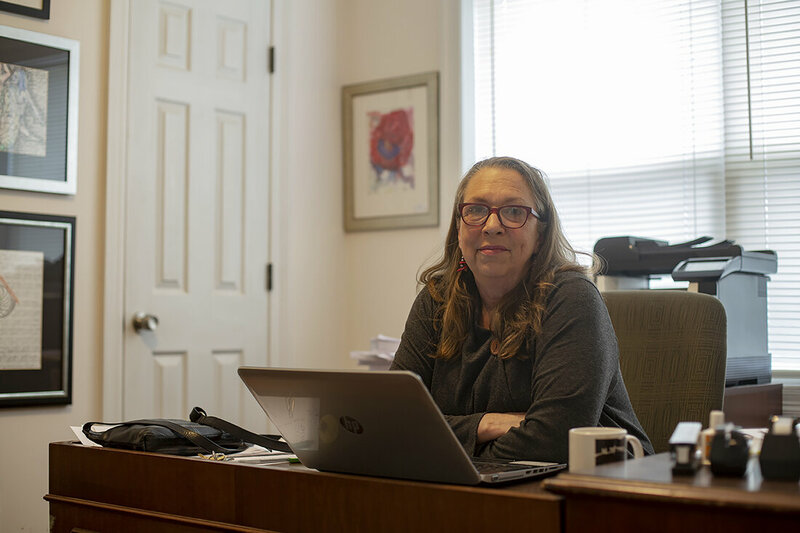 “I think that part of what has to happen in this state is that we have to start electing people who reflect the demographics of our society,” she says. 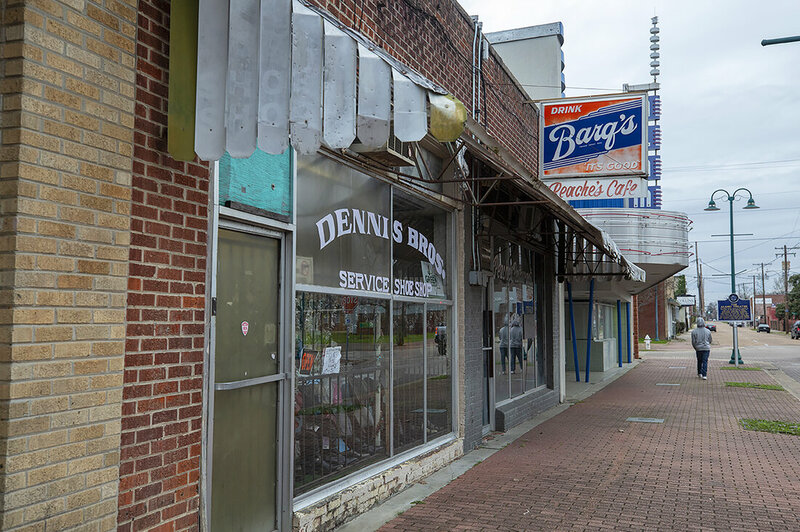 People working to fight the HIV epidemic in Mississippi point to one recent example of a law that they believe promoted homophobic values that could increase the stigma around HIV. 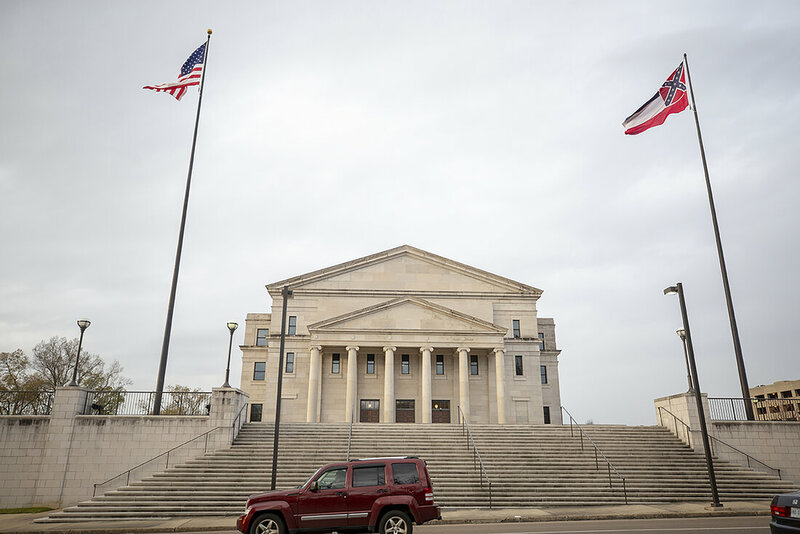 In 2016, the state passed a bill into law that allows doctors to refuse to serve certain patients, based on the doctor’s religious beliefs — even if those beliefs seem to be anti-gay. While there’s no public evidence yet of a doctor refusing to treat a gay patient, critics of the law fear it could deter many people from seeking health care. 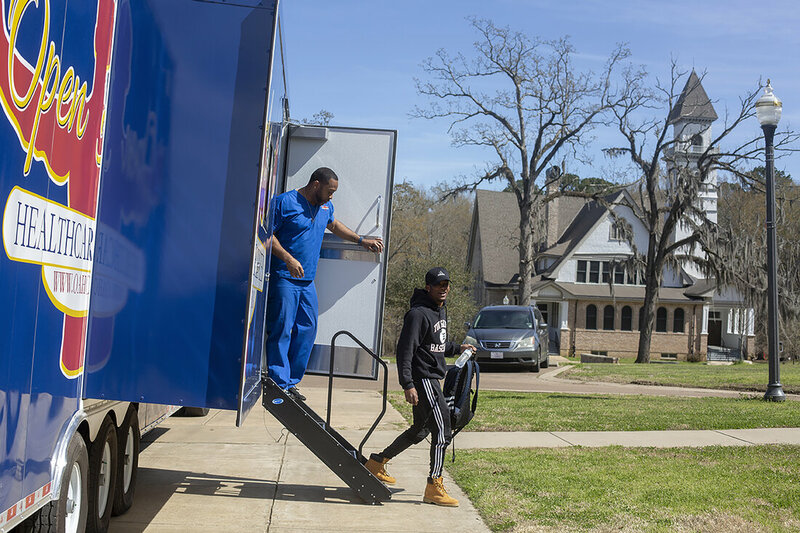 Hip-hop plays inside the Open Arms Mobile Health Clinic, as a way to help the students at Tougaloo College feel more comfortable while they await testing for HIV or other STDs. DeAndré Steward, 20, showed up for the clinic when it came to Tougaloo University, outside of Jackson. Steward is black and gay, and he’s aware of the soaring infection rates in his demographic. Steward faces many of the same challenges that Esco and Williams do, but he’s from a younger generation. When asked whether he thinks the HIV epidemic can become a thing of the past, he’s optimistic. 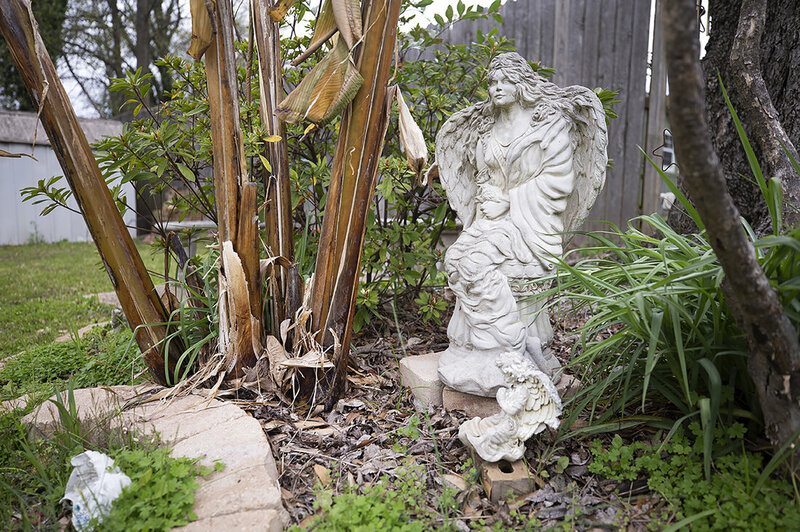 Steward tested negative for HIV at the clinic, and he plans to stay that way. But one of the best ways to do so would be to get on PrEP. He’d like to do so, he says, but it costs too much.